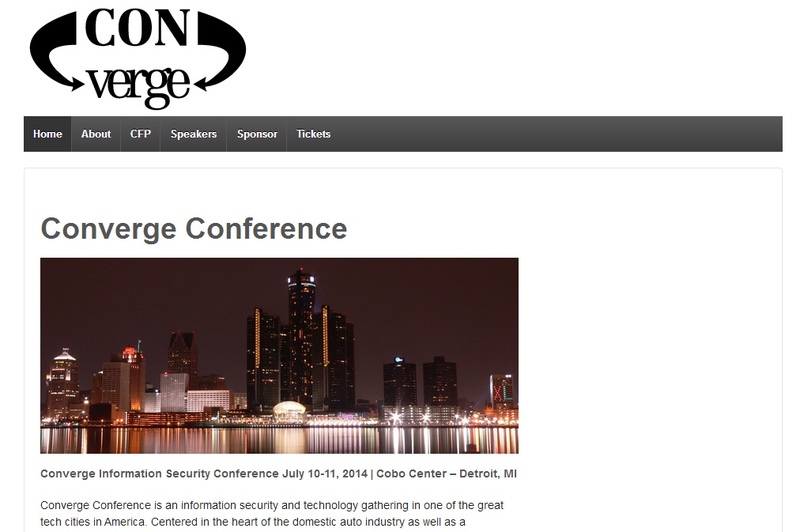 DETROIT — Converge, a new IT security conference is coming to the newly renovated Cobo Center in downtown Detroit Thursday and Friday, July 10 and 11. The organizers of three successful years of a smaller security conference, BSides Detroit, are staging the event. The fourth BSides event will still be held, on Saturday, July 12. The Ann Arbor-based two-factor authentication provider Duo Security is an event sponsor. Presentation topics will include trends in authentication security, security in the software development life cycle, mobile application security, intrusion detection, security event monitoring, network flow analysis, malware analysis and more. Sign up or get more information at http://convergeconference.org. Register at this link. The cost to attend Converge and BSides Detroit is $125.